Over 300 performers from Brittany, Cornwall, Ireland, the Isle of Man, Scotland and Wales. If you are looking for something to do in Newquay in November, Lowender Peran is great value and so much fun for all the family. 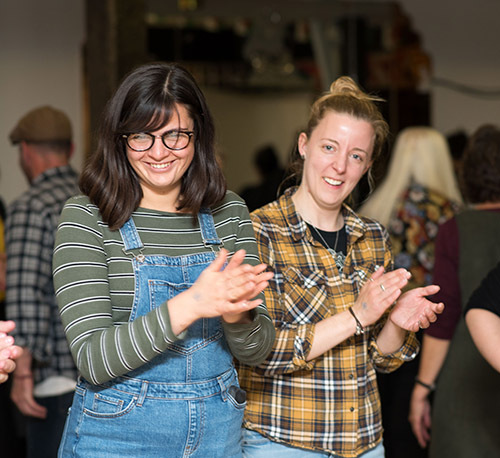 Ceilidhs, Family Activities, Workshops, Music Sessions, Sing-a-Longs, Craft Fayre, Storytelling, Poetry, Cornish Wrestling, Gin Tasting and much more! If you love Celtic music, celtic dance and celtic festivals or folk festivals you will love Lowender! There’s something for everyone. Tickets from only £1 (free for under 12s). Lowender Peran is a spectacular festival, welcoming people from around the world to enjoy music, dance, arts and culture. Tickets available online or call 01872 553 413. We have over 300 Artists coming from all over, including Scotland, Ireland, Wales, Brittany and the Isle of Man. Kanow Kernewek A good “Shout” or singing session is a part of our Cornish musical heritage and even better if we have a few songs in Cornish. Follow the bouncy ball on the songs and get ready to join us for: Matt’s Cornish singing workshops - throughout the festival Levow Werin – the singing session down at the Rowing club, Newquay Harbour Keskan Lowender – our very own last night of the proms – and bring your Cornish flag. You can order your tickets online with PayPal or can give us a call at the festival office on 01872 553 413. The Hotel Bristol - Festival Hub - Awesome beachside location, and really great value accommodation. Set on a cliff overlooking Tolcarne Beach, this family-run Victorian hotel is a 13-minute walk from Newquay Zoo and 2 miles from Fistral Beach. The polished rooms have free WiFi, flat-screen TVs, desks, and tea and coffee making facilities. Upgraded rooms have sea views, while 2-bedroom suites add separate living areas. Lowender Peran is a registered Charity set up to encourage recognition of Cornwall`s heritage and Celtic links. 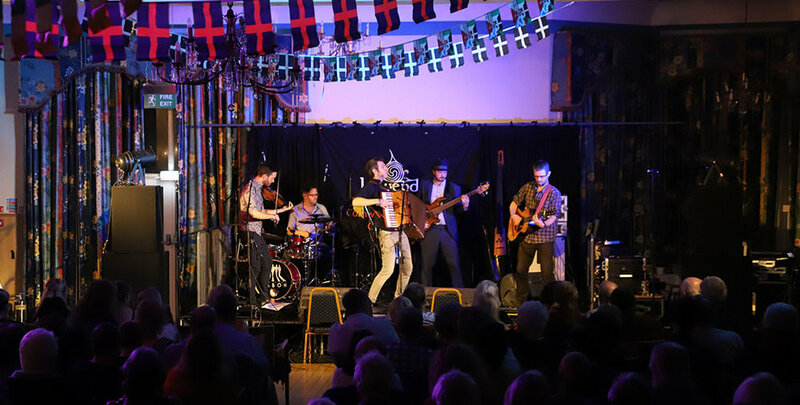 Lowender Peran is a registered Charity set up to encourage recognition of Cornwall`s heritage and Celtic links as a vibrant, living tradition that people of all ages and backgrounds can participate in and enjoy. We have events for families over the weekend, more information coming soon on those..
Lowender Peran is famous for its evening dances which go on into the early hours of the morning. In some cases there is a caller to guide you through the dances, and in others you pick them up as you go along. Experience not necessary, the more the merrier! “Well what can I say!! An amazing festival in a fantastic new venue, The Hotel Bristol, Newquay, Cornwall. Plenty of rooms for different events, catering for all tastes & ages. Something for everyone, poetry, children’s activities, singing & of course music & dance everywhere! Well done to all the organisers. Hotel Bristol is definitely a keeper as far as I’m concerned, the staff embraced the whole weekend & were incredibly helpful & friendly. Already booked in for next year!